These dolls can be a perfect addition to your toys collection and makes a great gift too. 'Its like a safari in your bag!' 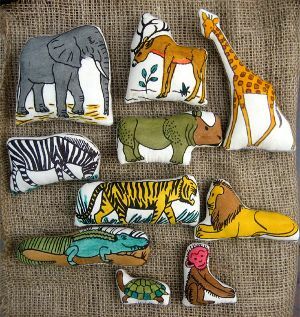 These animal dolls are 100% handcrafted, painted with acrylics and stuffed with cotton comes with a complimentary bag which is made of cotton too and is hand-painted. These dolls can be a perfect addition to your toys collection and makes a great gift too.